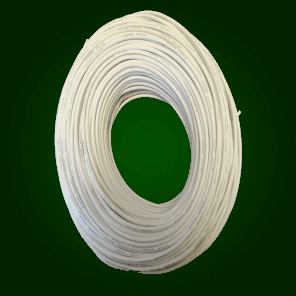 This is white flexible 12 AWG stranded wire utilizing a silicone based insulation making it ideally suited for power distribution in a robot. The perfect wire for wiring robots cleanly and effectively. This is a flexible 12 AWG stranded wire utilizing a silicone based insulation making it ideally suited for power distribution in a robot. Use it with motor controllers such as the Victor SP, Talon SRX or other key power transfer connections. When you place your order, you are specifying how many feet you are purchasing in the Qty box. The price stated is per foot of wire (5 ft minimum order). Place your order in 1 foot increments with a max order of 100 ft.